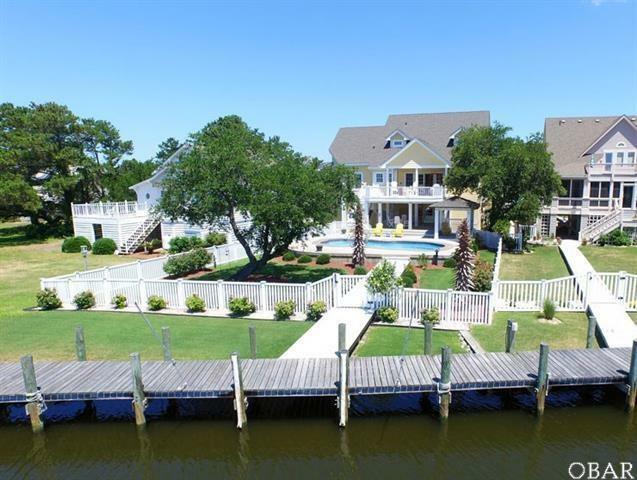 Modern (2006), custom-built, showplace of a home, in truly immaculate condition, with great pool and outdoor living areas, on a canalfront homesite, in a quiet setting within the Hammock Village section of Pirates Cove. Want a private pool? very few PC homes offer private pool, but this is all set! Never rented, so none of that rental wear and tear with this property. Attractive, functional, and very comfortable design / floorplan, with high end finishes throughout. Outside: covered front decks, plenty of improved parking, huge (1,648 sf) 2-car garage with sealed floors, elevator entrance, workshop, cabana half bath, high garage doors, beautifully landscaped fenced rear yard with tranquil salt water fountained pool, with tropical surrounding landscaping, covered and uncovered rear decks with marsh & canal views, gazebo, and direct access to your 55' boat slip and boardwalks. Inside: First level features dramatic foyer, open great room with high ceilings, all hardwood or tile floors, new gas fireplace with brick surround, built-ins, large granite wet bar and cabinets, breakfast table area, and gourmet granite kitchen. 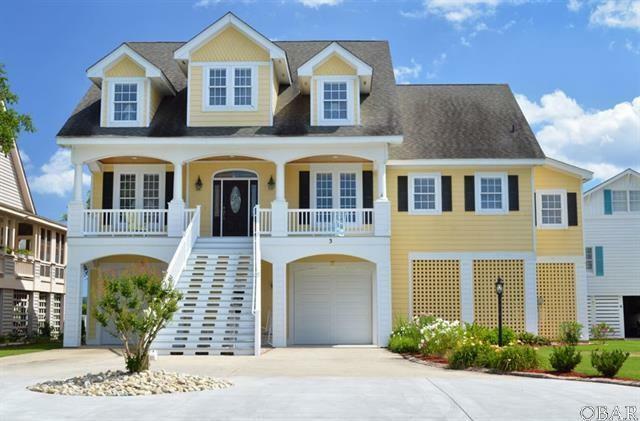 Also on this level separate library / den (or use as 5th bedroom with closet), formal dining area with granite bar, laundry room with utility sink and cabinetry, half bath, master bedroom with walk-in closet and large custom bath with jetted tub and tile shower. Comfortable living all on this one level. 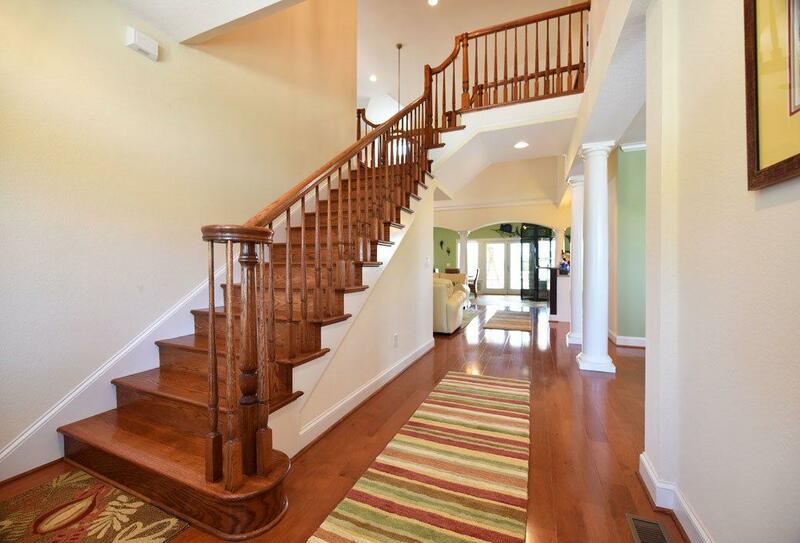 Oak stairs and railings to second level, featuring railing to below, 2 bedrooms sharing large full bath, a very large master suite, and tv den room. All built to the highest quality standards, and impeccably maintained by conscientious owners. 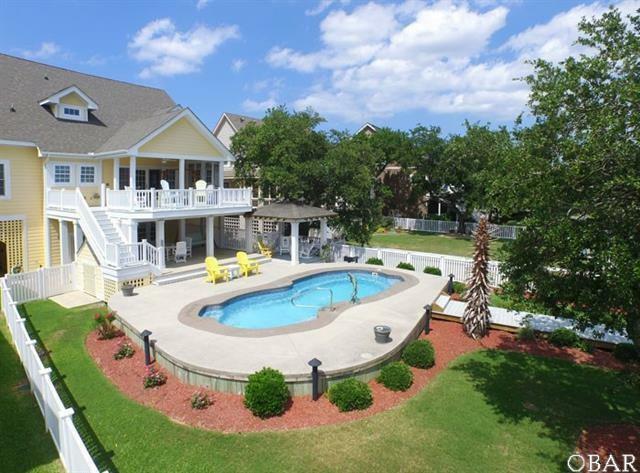 This never rented home, with year round surrounding homes, in walking distance to numerous amenities (2 pools, one of which is owners only, tennis courts, fitness center, playground, volleyball, miles of board walk for walking), marina, restaurant, in the safe setting of Pirates Cove, provides a great second home or year round home, with rentals as an option. The owners love and enjoy the new style pneumatic elevator for themselves and stuff, but will remove elevator if desired with acceptable offer. This home will be a pleasure to show and own. Listing courtesy of Mark Massey of Resort Realty - Kh.